South Africa is host to two species of fruit flies of economic importance, the Mediterranean fruit fly (Ceratitis capitata) and the Natal fruit fly (C. rosa). Both species are international quarantine pests. 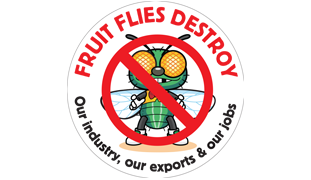 Fruit Fly Africa is an industry owned service body created to plan, co-ordinate and execute area-wide fruit fly control programmes. This is done in collaboration with producers and local government in various production regions in partnership with the National Department of Agriculture, Forestry and Fisheries (DAFF). The programmes are based on international best practice as contained in the Technical Manual drafted in line with the requirements and conditions set by the International Atomic Energy Association (IAEA) and the Agricultural Research Council (ARC). Area based programmes are tailor-made for specific production regions. The Sterile Insect Technique (SIT) forms part of the integrated approach. Establishment of operations and communications centres responsible for effective liaison on all fruit fly management activities in all relevant areas. Host plant management: i) identification of all fruit fly host plants in all areas; ii) removal or management (e.g. stripping, baiting) in all urban areas. Installation and maintenance of fruit fly traps for the area-wide programme. Monitoring, fruit fly identification, and data management using GIS. Routine sampling of commercial and wild fruit for fruit fly infestation. Routine and regular feedback to growers on an individual basis on the status of fruit fly populations on their farms and in relevant urban areas. Baiting of non-farm hotspots, including the use of bait stations where appropriate. Coordination and supervision of area-wide baiting (aerial or ground) if requested by any area. Decision on the readiness of any area for releases of sterile flies. Routine and regular releases of sterile fruit flies in all target areas, and monitoring of effectiveness of all aspects of the fruit fly management programme. Liaison with local government structures on involvement with relevant fruit fly management actions in urban areas. Advice and recommendations on all aspects of fruit fly management. Public relations and awareness programmes. Liaison with national and international fruit fly and SIT experts as needed. On-farm host plant management activities (including in gardens and workers’ compounds and other on-farm hotspots). On-farm baiting activities (including in gardens, workers’ compounds and other on-farm hotspots). The role of producers in ‘micro-managing’ fruit flies on their own farms is crucial in an area-wide fruit fly management programme, whether by conventional means or by SIT. The degree of success with which it is done will make or break any such programme. What are the “basics” ? What is the history of this pest? How can we control or eradicate it? What detrimental consequences can the presence of the Medfly hold in SA? Why does it appear that the GF-120 and/or Malathion and Hynlure are not really effective against fruitflies? Why is a winter programme against fruitflies so very important? For how long must I apply bait? How many traps must I have on my farm?